Geneva: The UN human rights chief on Monday urged Washington to stop separating migrant children from their parents at the US border, describing the policy as "unconscionable." 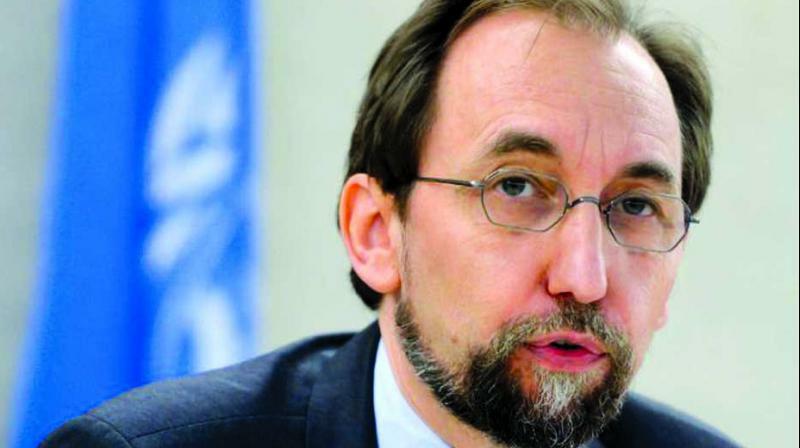 "The thought that any state would seek to deter parents by inflicting such abuse on children is unconscionable," Zeid Ra'ad Al Hussein said as he opened a session of the UN Human Rights Council in Geneva. The "zero-tolerance" border security policy implemented by President Donald Trump's administration has sparked global outrage. Zeid quoted the American Association of Pediatrics as describing the practice as "government-sanctioned child abuse" which may cause "irreparable harm," with "lifelong consequences." "I call on the United States to immediately end the practice of forcible separation of these children," he said, urging Washington to ratify the Convention of the Rights of the Child. Ratification, Zeid said, would "ensure that the fundamental rights of all children, whatever their administrative status, will be at the centre of all domestic laws and policies." Zeid's address at the start of the 38th session of the UN Human Rights Council marks his last address to the body before he is due to step down at the end of August.